A Kalgoorlie-Boulder real estate agency is hoping clients will follow in its footsteps, after it made the move from rental property to a new, bigger and fully owned business premises last week. Kalgoorlie Metro Property Group’s move from 118 Brookman Street to 49 Brookman Street is a feather in the cap of the home-grown organisation which has steadily expanded since it was founded eight years ago. Agency Principal and owner Keren Briers said the decision to expand was made to accommodate a growing staff and to prove to the public the business was not going anywhere. “I should have done this years ago, I should have had the confidence to do it. 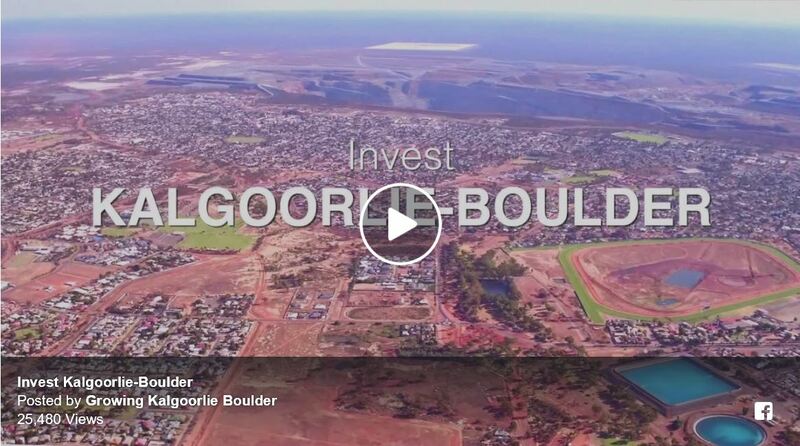 I’m ecstatic – it’s proving to my clients and everyone that we are reinvesting in Kalgoorlie and will be hers for years to come yet,” she said. “Now we made the decision to buy our won property because we are here to stay in Kalgoorlie and I’m here to stay in Kalgoorlie,” she said. “’I’m not leaving, clearly, I have just bought a massive building and invested in the Goldfields. Not only have I invested in my building, I own investment properties here and my own home here too. “It’s our own building, we can put our own mark on it. “It is a grand building, it’s professional, it suits our needs. We’ve done a complete kids zone, I am very family – oriented,” she said. The agency celebrated its eighth birthday in January and Ms Briers said it had reached the milestone in style. “When we tarted it was just a receptionist, me and two sales representatives,” she said. “We started in a small office in the Target complex. Within seven to eight months we had started property management, within 18 months we had a second office, after three years we moved to a joint location on Brookman Street and now we have grown so big we needed the bigger premises. “I think the team were magnificent in helping us put it all together. We closed the office at lunchtime Thursday, and we opened in our new office Monday morning, ready for business.